Should we eat more fruits and vegetables? What about the pesticide residues? How many pesticides can be found on conventionally grown produce? Why should I be concerned about pesticides? Should I stop eating strawberries, nectarines and other produce items on your Dirty Dozen™ list? Are pesticide residues legal? Safe? What can I do to reduce my exposure to pesticides? Shouldn't I try to buy everything organic? What if I wash and peel my fruits and vegetables? How does EWG come up with its Shopper's Guide to Pesticides in Produce? How does EWG come up with its Shopper's Guide to Pesticides in Produce? How do you determine a fruit or vegetable's ranking? Is there a difference between domestic and imported produce? What about genetically engineered crops? Why is sweet corn on the Clean Fifteen list? Do we know enough about the effects of pesticides on people? What do human studies tell us about risks to children? Are pesticides detected in people's bodies? Is government monitoring sufficient to ensure the safety of conventional crops? Have pesticide restrictions improved the safety of the food supply? Are newer pesticides safer than older versions? This flat trend worries nutritionists, who recommend that adults and children consume at least two servings of fruit and three servings of vegetables daily. The Centers for Disease Control and Prevention reports that this advice is routinely ignored: Less than a third of all adults meet the current guidelines. The health benefits of a diet rich in fruits and vegetables outweigh the risks of pesticide exposure. Eating conventionally grown produce is far better than skipping fruits and vegetables. And with EWG’s Shopper's Guide to Pesticides in Produce™, consumers don’t have to choose between pesticides and a healthy diet. Pesticides are toxic by design. They are created expressly to kill living organisms – insects, plants and fungi that are considered 'pests.' Many pesticides pose health dangers to people. These risks have been confirmed by independent scientists and physicians around the world. As acknowledged by U.S. and international government agencies, pesticides have been linked to a variety of health problems, including brain and nervous system toxicity, cancer, and hormone disruption. No, that has never been the Shopper’s Guide to Pesticides in Produce message. We recommend eating produce from the Dirty Dozen list rather than foods or snacks that are not as healthful, such as fat-, sugar- or additive-laden processed foods. And by choosing produce from the Clean Fifteen™ list, you can have all the benefits of eating more produce while at the same time reducing your exposure to pesticides. Most pesticide residues fall below government limits and are legal. But legal limits aren’t always safe. The Environmental Protection Agency’s safety levels, called “tolerances,” help agency regulators determine whether farmers are applying pesticides properly. If tolerance levels were set to protect all children eating produce, as we believe they should be, more fruits and vegetables would fail. The 1996 Food Quality Protection Act required the EPA to reevaluate its safety levels by 2006 to ensure they protected consumers from excessive pesticide use. As a result, the EPA barred some pesticides and restricted others, but current EPA rules still don’t protect people's health. Some liken pesticide tolerances to a 500 mph speed limit: If the rules of the road are so loose that it’s impossible to violate them, nobody can feel safe. EWG recommends buying organic whenever possible. Not only is reducing your exposure to pesticides a smart move but buying organic also sends a message that you support environmentally friendly farming practices that minimize soil erosion, safeguard workers, and protect water quality and wildlife. However, we know that organics are not accessible or affordable for everyone, so we created EWG’s Shopper’s Guide to Pesticides in Produce to help consumers make the healthiest choices given their circumstances. EWG always recommends eating fruits and vegetables, even conventionally grown, instead of processed foods and other less healthy alternatives. EWG has not evaluated various produce washes for efficacy or potentially toxicity. Since some plants absorb pesticides systemically, a produce wash would have limited effect. 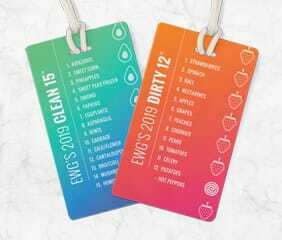 The safest choice is to use EWG Shopper’s Guide to avoid conventional versions of those fruits and vegetables with the highest pesticide residues. 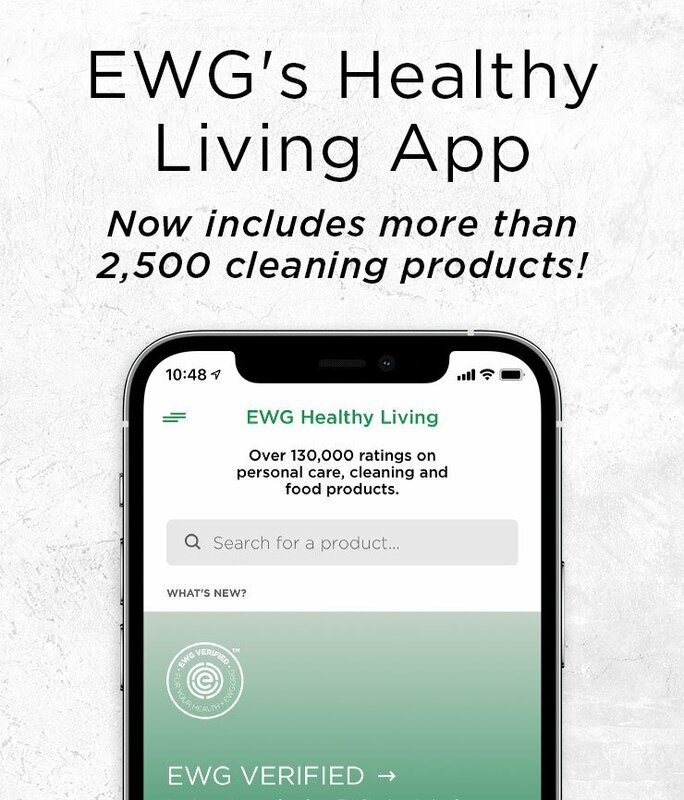 EWG's Shopper’s Guide is based on laboratory tests done by the Department of Agriculture’s Pesticide Testing Program and the Food and Drug Administration. Most data come from USDA tests, which include a large number of fruit and vegetable crops, and a large number of pesticides. Percent of samples tested that had detectable pesticides. Percent of samples that had two or more pesticides. Average number of pesticides found on a sample. Average amount (in parts per million) of all pesticides found. Total number of pesticides found on the crop. EWG’s Shopper’s Guide to Pesticides in Produce is based on samples of produce available to U.S. consumers and includes both domestic and imported produce. We typically combined testing results for domestic and imported fruits and vegetables. However, if we observed a big difference between a food’s imported and domestic scores or found notable differences in the toxicity of particular pesticide residues, we took account of this in the rankings. Organic is a designation used by the Department of Agriculture’s National Organic Program to certify food that was produced without synthetic chemicals or fertilizers, genetic engineering, radiation or sewage sludge. A small percentage of sweet corn, zucchini and yellow squash sold in the U.S. is genetically modified. Most Hawaiian papaya is GMO. In 2016, the Department of Agriculture estimated that 8 percent of sweet corn, 12 percent of squash and about two-thirds of papaya grown in the U.S. was GMO. Of these, only GMO sweet corn is bred to withstand direct use of herbicides. Americans who want to avoid eating any GMO produce should buy organic fruits and vegetables. Most starchy “field corn” and soy grown in this country are genetically modified to withstand direct applications of Roundup and sometimes also 2,4-D, a lesser-known toxic herbicide with known health risks. These crops are processed into oils, corn syrup and other common ingredients in processed foods. If you want to avoid genetically modified foods, look for items that are organic or that bear the “Non-GMO Project Verified” label. 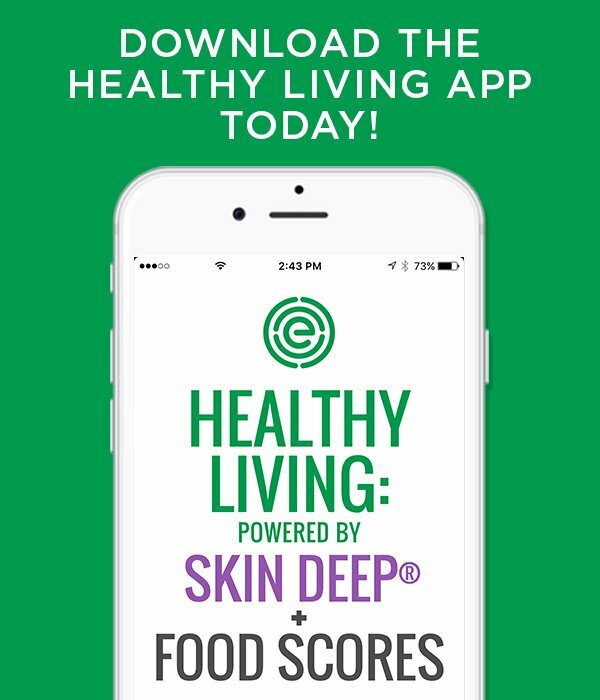 We recommend that people use EWG's Shopper's Guide To Avoiding GMO Food, Food Scores database and Healthy Living app, which can help shoppers identify foods likely to contain genetically engineered ingredients. No. Americans are likely polluted far more with pesticides than current studies report. Agribusiness and pesticide companies are not required to determine whether their chemicals are present in people, not even for compounds that are widely found in the food supply. The CDC’s national biomonitoring program has likely only scratched the surface in its efforts to determine the human body burden of pesticides. Pesticides are designed to kill living organisms. The implications of wide-scale pesticide pollution in Americans’ bodies have not been definitively established. However, studies of neurotoxic organophosphate compounds used on some fruits and vegetables have found that children with high exposures were at greater risks of impaired intelligence and neurological problems. There is an extensive body of evidence demonstrating that pesticides harm workers, damage the environment and are toxic to laboratory animals. The Environmental Protection Agency is responsible for setting standards for pesticides in food to ensure that people’s exposures stay well below the doses known to be harmful. But because of the complexity of people’s diets, the variation in pesticide residues on foods, and other lifestyle, genetic and environmental factors contributing to disease, it is difficult to rule out the risks of pesticide residues in the American diet. A 1993 report by the National Academy of Sciences concluded that “infants and children differ both qualitatively and quantitatively from adults in their exposure to pesticide residues in foods,” and that some children exceeded safe levels of pesticides in their diets. Over the subsequent decades, the Environmental Protection Agency has banned or restricted many highly toxic pesticides. However, scientists have presented more troubling information about the effects of currently used pesticides on children’s growing bodies. Columbia University researchers linked deficits in IQ and working memory among 7-year-olds born in New York City to prenatal exposure to the pesticide chlorpyrifos, an organophosphate that was popular for residential pest control until the EPA banned its use in homes, in 2001. Children continue to be exposed to organophosphate pesticides that contaminate common foods. 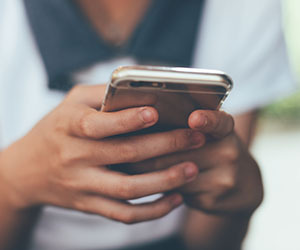 Researchers from the Mount Sinai Medical Center linked prenatal organophosphate exposures among New York City-born children to impaired perceptual reasoning, a measure of nonverbal problem-solving skills. Scientists at the University of California, Berkeley, found that children in a farmworker community born to women with high organophosphate exposures had lower intelligence scores at age 7 than children born to women with lower pesticide exposures. Between 2014 and 2017, EPA scientists reviewed a key organophosphate, chlorpyrifos, on the basis of the results of the Columbia University study. This led EPA scientists to conclude that even tiny amounts of chlorpyrifos on food posed a risk to children’s brain development. However, former EPA administrator Scott Pruitt overturned a proposed ban on the chemical, in March 2017, and indicated that chlorpyrifos would remain on the market until the EPA completes its scheduled reregistration review, in 2022. Advocates sued the EPA to reinstate the chlorpyrifos ban and, in August 2018, the federal court ordered the agency to reestablish the ban. The EPA is currently appealing the court’s decision. No. Neither pesticide residue monitoring nor dietary surveys adequately capture the variety of pesticide exposures Americans face. In 2014, the Government Accountability Office audited the Food and Drug Administration and Department of Agriculture’s efforts to monitor pesticide residues on food crops. It identified key deficiencies, like the USDA’s failure to test foods for residues of five commonly used pesticides: glyphosate; 2,4-D; mancozeb; MCPA; paraquat and methyl bromide.7 Glyphosate and 2,4-D are herbicides with growing uses for genetically engineered commodity crops; people are likely to ingest more of these residues in processed foods as the use of GMO crops increases. Yes, but not enough. The Food Quality Protection Act, passed in 1996, mandates strong protections for public health. This act requires the Environmental Protection Agency to set health-based standards for pesticides in food, considering exposures from water, indoor air, food and cumulative pesticide risks. The law stressed the protection of infants, children and other vulnerable people. It requires the EPA to review the safety of each specific use of each agricultural pesticide at least once every 15 years. Over the past two decades, the EPA has restricted many uses of toxic insecticides like the organophosphates. Pesticides called neonicotinoids are now being used to kill insects on fruits and vegetables, instead of more toxic organophosphate and carbamate pesticides. Neonicotinoids are the fastest growing class of insecticides. The Department of Agriculture finds neonicotinoid pesticide residues on 15 to 20 percent of foods it surveys, with frequent detections on cherries, lettuce, spinach, cauliflower, tomatoes, strawberries and sweet bell peppers. A decade of research has made it clear that neonicotinoids are highly toxic to honeybees and other pollinator species. Mounting evidence suggests that stresses caused by neonicotinoids play at least a contributory role in the colony collapse plaguing global honeybee populations. The European Union enacted a continent-wide moratorium on three neonicotinoid pesticides – imidacloprid, clothianidin and thiamethoxam – in 2013, ultimately deciding to ban the outdoor use of these pesticides, in 2018. Centers for Disease Control and Prevention, Fourth National Report on Human Exposure to Environmental Chemicals. Department of Health and Human Services, 2009. Government Accountability Office, Food Safety: FDA and USDA Should Strengthen Pesticide Residue Monitoring Programs and Further Disclose Monitoring Limitations. 2014; GAO-15-38.